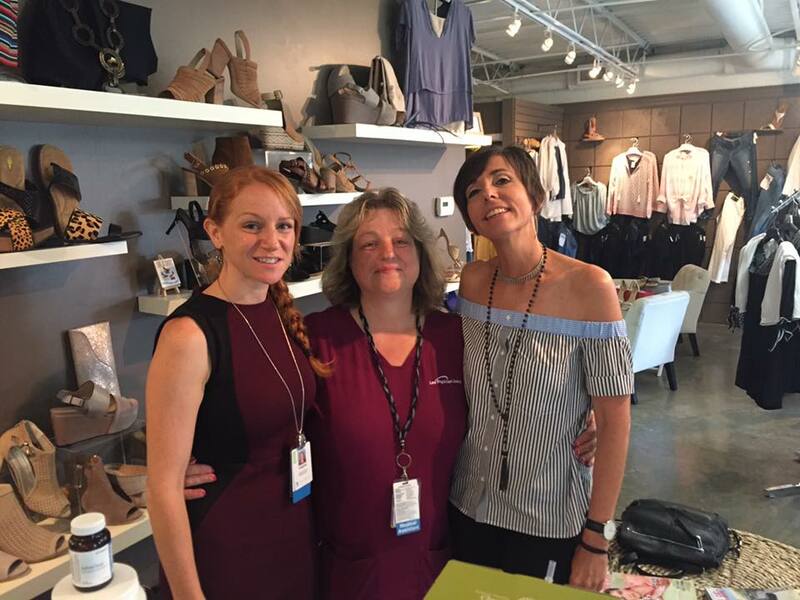 Jennifer’s women’s boutique is celebrating 36 years in business by giving back to local charities at “Fashion Forward Friday” events through April. Human Trafficking Awareness Partnerships (HTAP) will receive 5% of all sales on Friday, November 2 from 10:00 a.m. until 6:00 p.m. 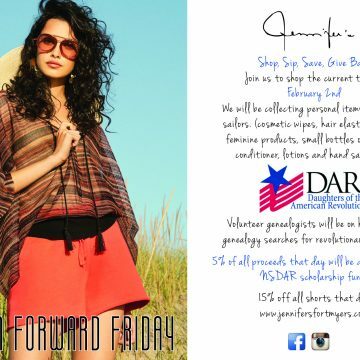 Shoppers will enjoy champagne and cupcakes and will receive 15% off all jeans. HTAP’s mission is to prevent human trafficking by empowering individuals through education and collaborative action in Southwest Florida. Jennifer’s will collect art supplies for HTAP’s ARTREACH program. ARTREACH is an interactive creative arts program designed to instill a sense of awareness about human trafficking in our community’s boys and girls and to empower them to become peer spokespersons. Suggestions include 12 pencil sets of colored pencils (RoseArt or Prang), #2 pencils, pencil sharpeners, erasers, rulers, synthetic brush paint brushes, and Dove dark chocolate candy bags (Dove is slave-free). Jennifer Williams opened her Fort Myers boutique in November of 1983. Her unique and timeless sense of style and personalized service has created a loyal following. Jennifer’s is located at 13251 McGregor Boulevard in The Design Center and is open from 10:00 a.m. until 6:00 p.m. Monday through Friday and 10:00 a.m. until 5:00 p.m. on Saturday. 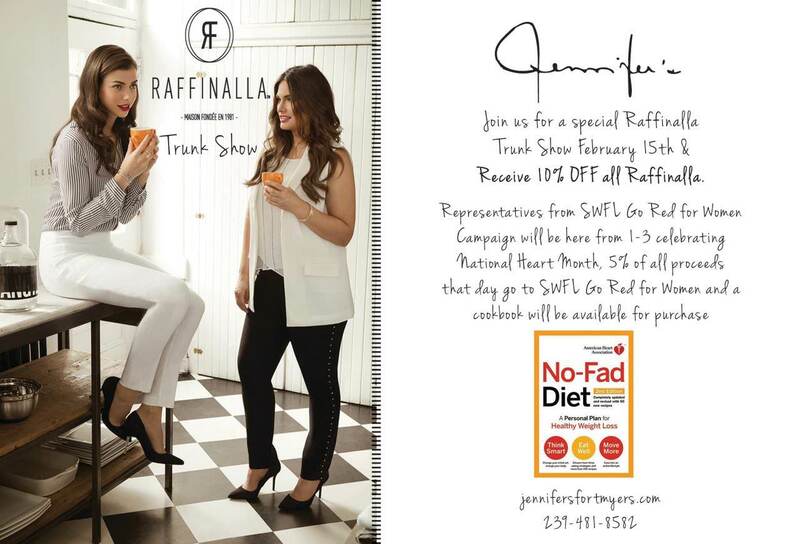 Call (239) 481-8582 or visit Jennifer’s online at jennifersfortmyers.com or on Facebook or Instagram.